The 'Flatform' (a platform that is flat) a hybrid shoe that is said to be 'THE SHOE' of 2012! 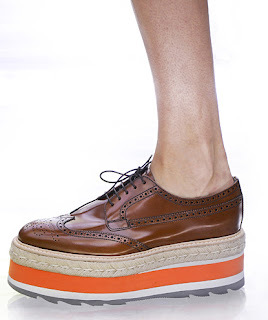 Personally I love the idea of being taller without the painful strain of heels, this way you can look like a six foot model in flats, what more could you ever want?! I am most definitely on the look out for some corkers for holiday, I want some I can wear with pretty pastel frilly socks.